I studied the package, remembering my friend’s words. It was the cheapest model available, but at least it was a jumper. I tried to finagle the clamp contraption around our “they-don’t-make-‘em-like-this-anymore” oversized 1950s door facings. The clamp didn’t want to open wide enough to work right. I wrestled and yanked, searched for tools, and pored over the instructions. No help. Eventually, breathless and frustrated, I surveyed the silly thing hanging from the door frame. Don’t ask me how it finally got on there. The memory is wiped clean. I heaved a sigh as I imagined the joy my son would get out of this insane, er, incredible invention. Unwilling to wait much longer, I grabbed my son and eagerly tried to fit him into the flat, enveloped-shaped seat. Unlike most brands, this particular jumper didn’t have a frame holding the seat open for easy baby insertion. Grunting, I dangled and pulled until he was finally aboard the jumper seat express. He searched my huffing, sweaty face, took a gulp, and let out a yowl. One of those extended ones that you hope the neighbors don’t overhear and wonder what a terrible parent you must be. So I let him cry. Five whole minutes. That was all it took to make both of us shudder at the monstrosity forevermore. Oh, the screams as he angrily dangled. From that day on, Buddy hated the jumper. Actually, “hate” is a too gentle a word for it. Even when visiting friends when he’d have the opportunity to try one of the “quality” jumpers that actually looked fun, he wasn’t fooled. Other mothers tried not to stare at my strange little boy who shrieked in rage at the toy that made all the other babies giggle with glee. To this day, the sight of a baby jumper makes me cringe. Yes, I had other babies that loved it, but that’s because they were blessed to never ride the cheap jumpy seat express. They got the nice, quality jumpy seats. Their joy hasn’t erased the horror of my first encounter with jumpy seats. I had to tell you that story before I could honestly tell you about jumpy seats. You. Do. Not. Want. To. Skimp. It’s been the experience of almost every other mom I know that their babies love jumper seats. Much depends, however, on the jumper seat. Rather than tell you all the cool things to look for in a jumper seat, I’m going to tell you what to avoid. 1. Avoid a user-unfriendly clamp system. Make sure the jumper seat’s clamp isn’t permanently stuck in one position with no way of unlocking it. Obviously, most won’t have this problem. But avoid the cheap versions. Especially if the seat reminds you of an envelope. 2. Avoid a seat that isn’t height-adjustable. 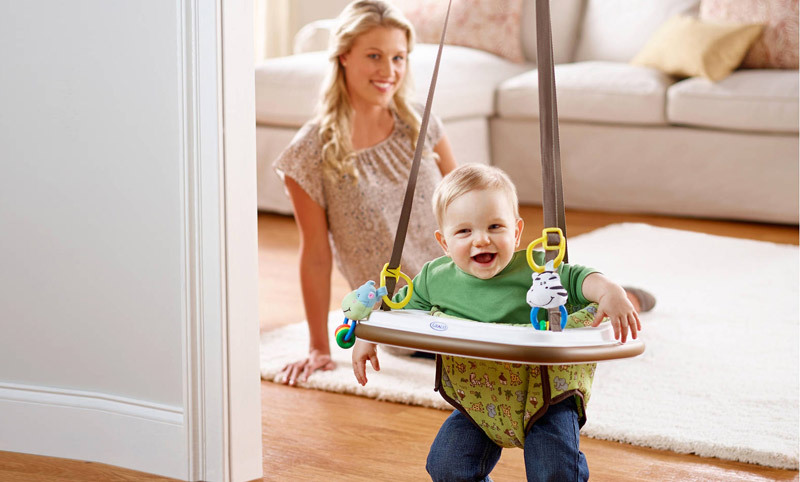 If the jumper seat is too short, your baby will be hanging in mid-air with no way of standing intermittently, which is the whole purpose of a jumper seat. 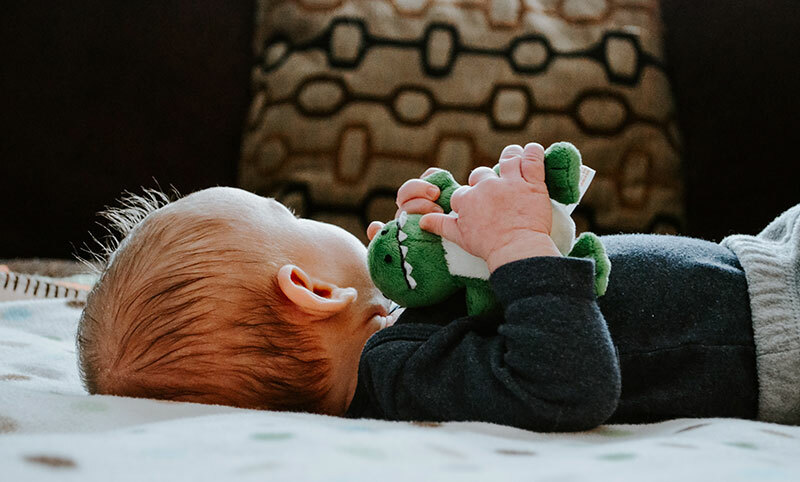 That was one reason my baby hated it – somehow, only one of his feet could touch the ground, so the poor guy was spinning in little angry-man pirouettes. 3. Avoid a seat that isn’t framed open. The jumper seat I had was really just a pocket with holes for Buddy’s legs to fit through. The poor little guy was traumatized just getting into it the first time, it was so tight. Add to that the unsettling feeling of being suspended in midair with only one toe to support you, when you’ve never even stood before, and you get the idea how yowl-inducing the experience was. If I had been able to afford it as a young newlywed just starting out, let me show you what I would have loved to have bought for my Buddy. I feel certain that any one of these jumpers would not only have caused him to love his jumper, but it also would have prevented later problems he’s had with fear of falling. It took him forever to just enjoy playing on a swing as a little boy. And yes, I blame cheap jumpy seat. And my penny-pinching self. This affordable jumper comes with age-appropriate toys, and even though it’s not expensive, it’s not cheap. It offers parents a nice open frame for settling in baby, and I love that the clamp has a reinforcing strap to keep it affixed to the door frame. This is a lovely jumpy seat that’s perfect for homes without door facings. You can also easily pack it up and take it on vacation to keep baby occupied in a hotel or even outdoors. This jumper is the one that all my friends’ babies loved. All the babies except Buddy, that is. It’s height-adjustable, the seat is nice and open, and there’s even a tray for baby’s snack. It’s perfect. It’s been a long time since I tried to fit my unsuspecting baby into a contraption whose complicated parts had already gotten me sweaty with exasperation. Many of the details have escaped me, but the I learned was never introduce your baby to a new toy when your face is red, your voice is shaky and you’re exasperated with said toy. It’s not pretty. And yes, Buddy is still afraid of heights. Thankfully, junior high football has made him okay with getting hit, so I’m a happy mama.